Jodie Kelley worked for Amazon as a customer service representative. She handled questions from customers and tried to resolve their complaints. She had endometriosis and suffered from migraine headaches, which required her to take intermittent leave. By 2010, her customer “Expressed Dissatisfaction Rate (“EDR”) showed that her performance with customers had declined. She was unable to successfully cure her issues and Amazon fired her. She sued for violation of the Americans with Disabilities Act (“ADA”). 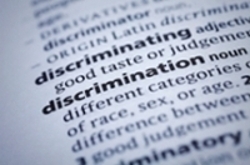 In determining whether Ms. Kelley had been discriminated against based on her disability, the Ninth Circuit Court of Appeals looked at whether she was able to perform the essential functions of her position without or without accommodation. The circuit court concluded that “customer service is the reason for the existence” of Ms. Kelley’s position. Over an eight-month period, she failed to meet customer service standards and Amazon personnel had attempted to work with her to improve her performance. Thus, Ms. Kelley could not establish that she could perform the essential function of her position with or without accommodation. Ms. Kelley had argued that she should have been transferred to another customer service position but the court rejected that as an option. No evidence had been shown that there was another position for which she was qualified. The court also rejected the argument that Amazon was required to consult with Ms. Kelley’s doctor as a means of accommodation. Physician consultation “is a potential method of discovering a reasonable accommodation, it is not a reasonable accommodation in and of itself.” The case was dismissed.